Czech Republic, they're close relatives to MPM. Some of the boxes look exactly alike. Short run odd subjects. Hi Bob I've actually picked up 4 Vallejo paints 71.108 UK Azure blue , 71.111 UK Mediterranean blue, 71.109 UK P.R.U. blue and finally another bottle of 71.034 RLM79 sandy brown. All spray very well straight from the bottle and give good coverage. The Mediterranean blue is a darker shade of blue than the Azure and was used on FAA aircraft operating out of Malta as far as I'm aware. Here's hoping the paint works for you. 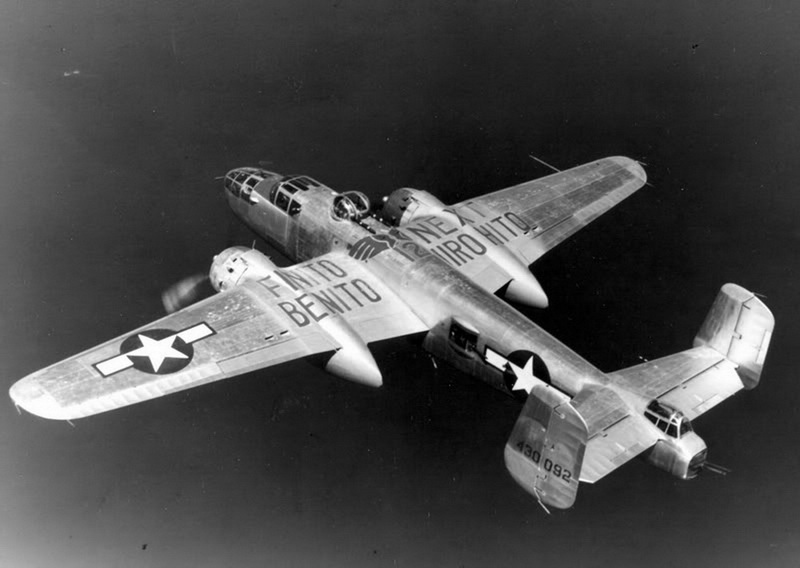 Always wanted to build it since I saw it decades ago in a book about the B-25. Peter, that should be a beauty when done, nice choice! As well as the other choices of kits were a nice variation, guys. Will following your progresses. Did the CBI&ETO campaigns, failed the PTO and still have to finish my little Mirage (failed also 2nd Gen Fighters-cpgn) but would be happy to join in here and hope to do it in time. Going with somewhat hopefully quicker this time and less additional work. @Thomas - Thank you and excellent choice by you, too! Peter, excellent choice! I will follow it with greatest interest. A quick update on my build. Got the primary interior colors painted. 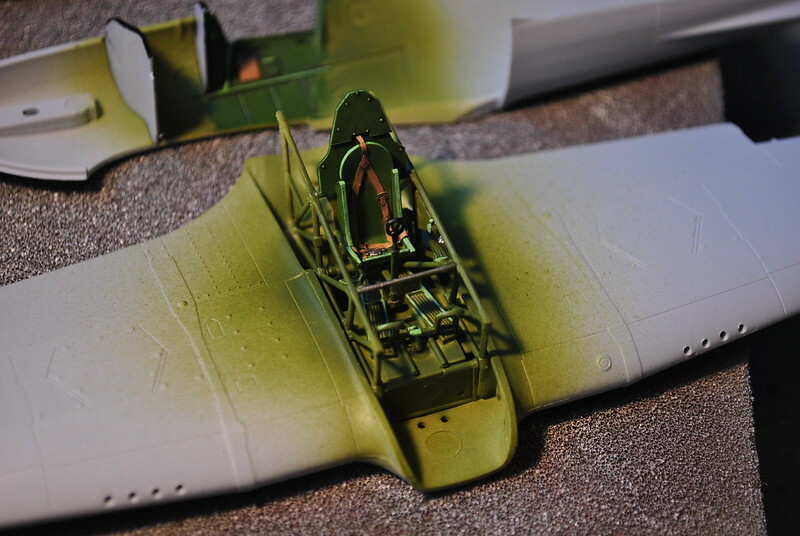 Guess, I need to show some progress photos of the Spitfire. Oliver, will you be going with the box art color scheme? If so, it looks a little hard from my skills and Ill watch your progress. I wanted to go for the box art color scheme but now, I found one more kit fitting in this campaign. I don´t really know, which one to do. Probably the Steyr as it sits on my shelf sind 2009. Getting ready to put some parts to glue, so the time has come to do the obligatory test fit, and figure out how many fishing weights will get crammed into every nook and cranny! Test fit shows that despite the molds being done in 1977, and having several owners since, it looks pretty ok. 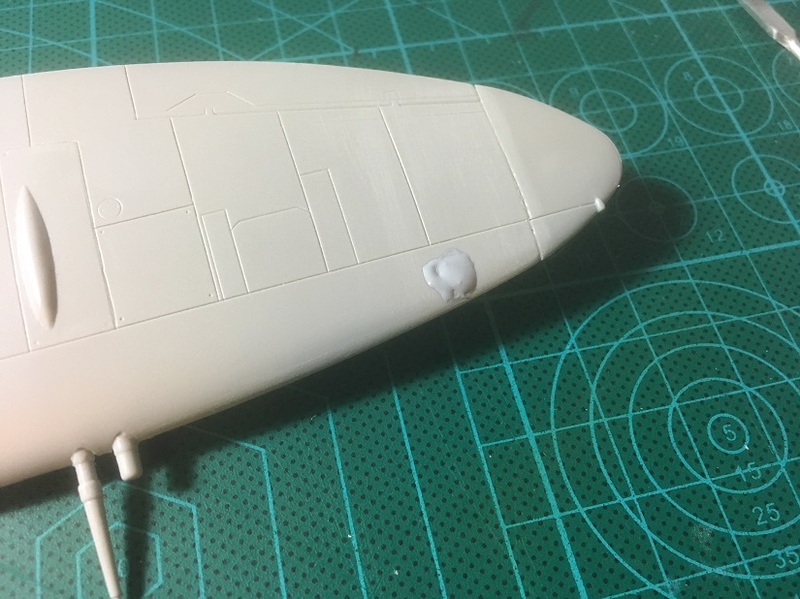 I didn't appreciate Revell's shenanigans of having to mark the kit in two places, one where the Monogram copyright had been, inside the starboard wing, not a biggie. 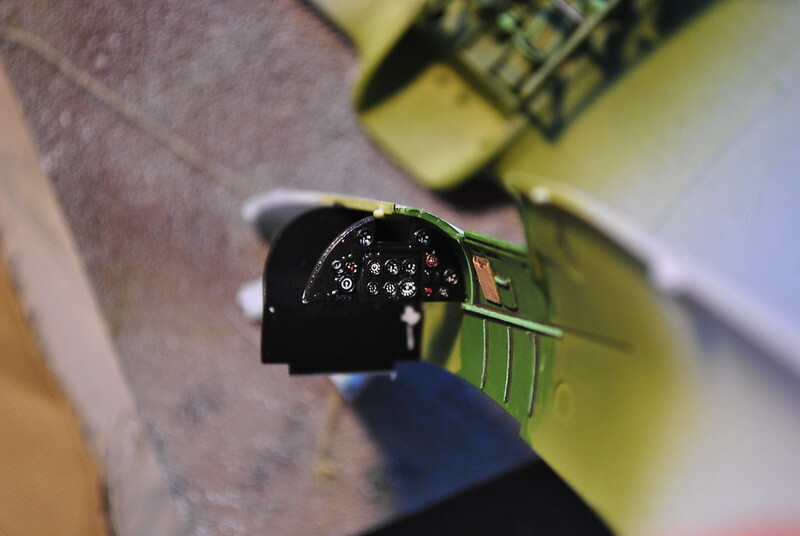 But putting an additional one on the bottom of the starboard wing between the trailing edge and a panel line? I know that to the victor goes the spoils, but adding more work for me wasn't very nice (sorry, rant over). Despite it's age the overall fit is good. 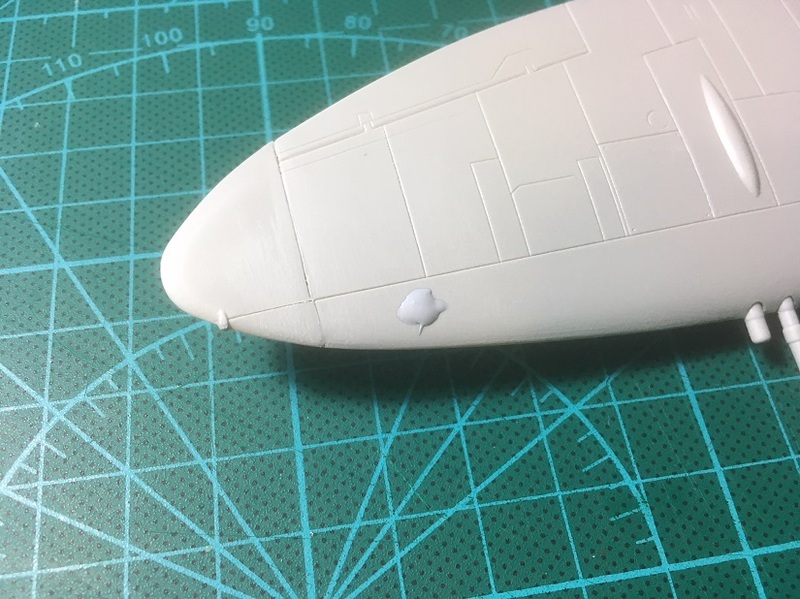 The nacelles will need a bit of work, but not much more. Yay! 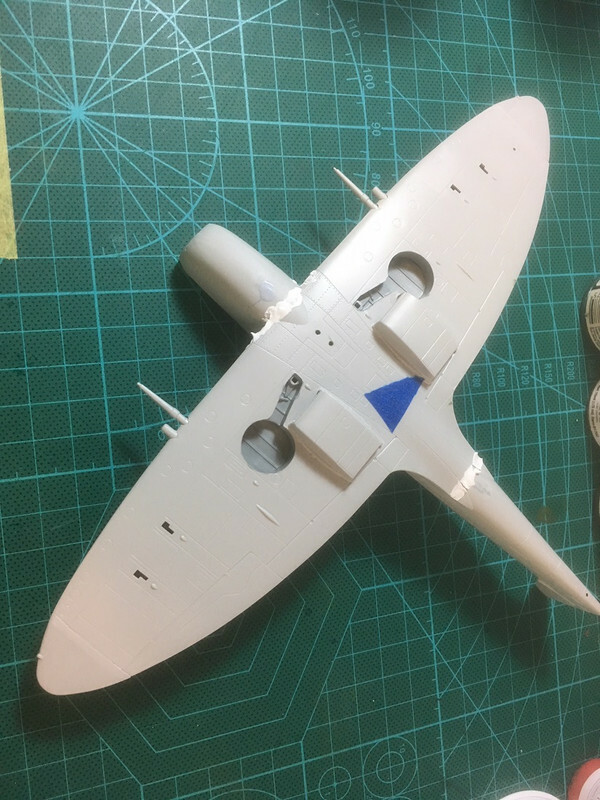 Next, I taped a cup to the cockpit and started adding fishing weights until the nose came down to the table. I then added a few more for insurance to avoid a tail sitter. So, it looks like 76 grams need to be hidden in this thing! the sink holes don't look so bad bob, how's the fit and detail to the kit? 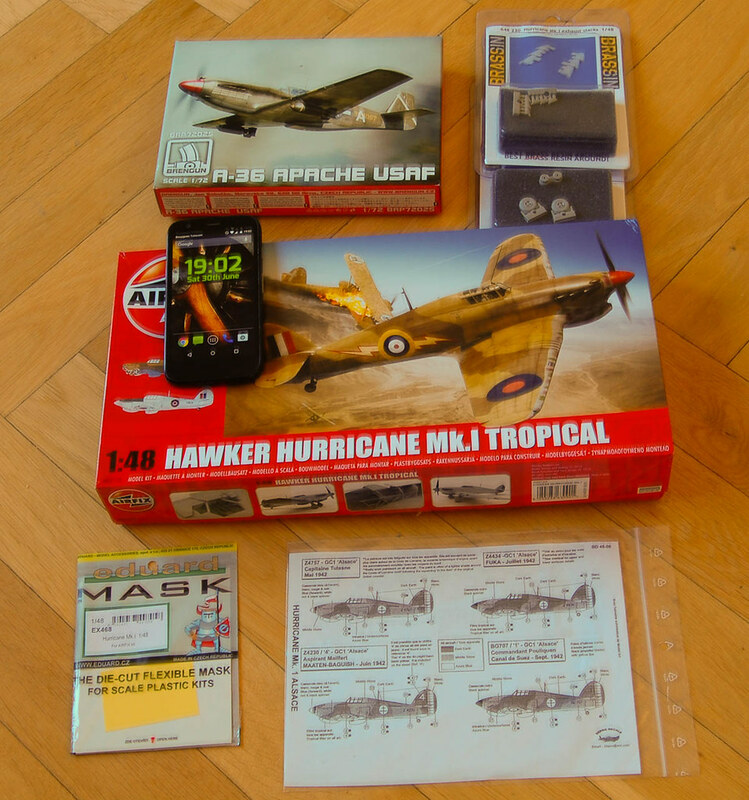 i am building the airfix hurricane for the raf 100 campaign right and the plastic is soft too but i think i like the softer plastic. I was going to post all WIP in one shot, but some stuff has come up that will keep me away from the bench for a bit. So I'll go ahead and post what I have. I'm building a tracky thing, a Tunisian Tiger....well sort of. 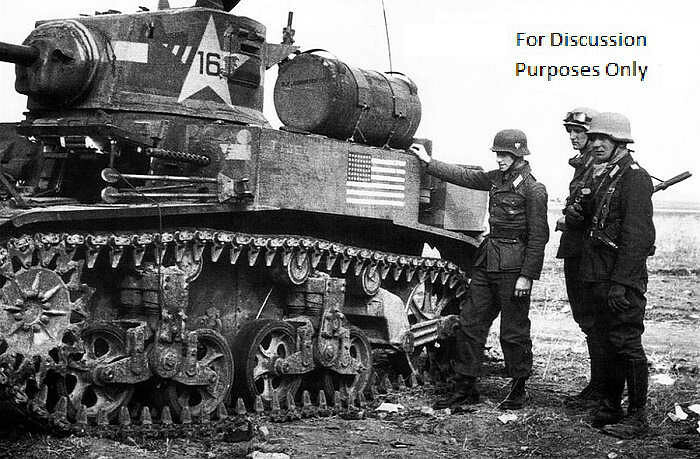 I'll be building a M3a1 Stuart "Tiger" of US Army, 3rd Platoon, Company C, 1st Armored Battalion, 1st Armored Division. It was captured by German forces in Tunisia in December 1942. 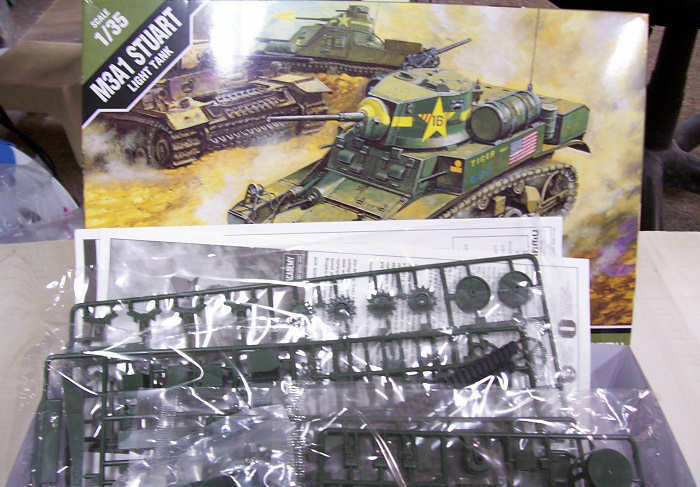 I used Academy's M3a1 Stuart kit (#13269), in 1/35 scale. 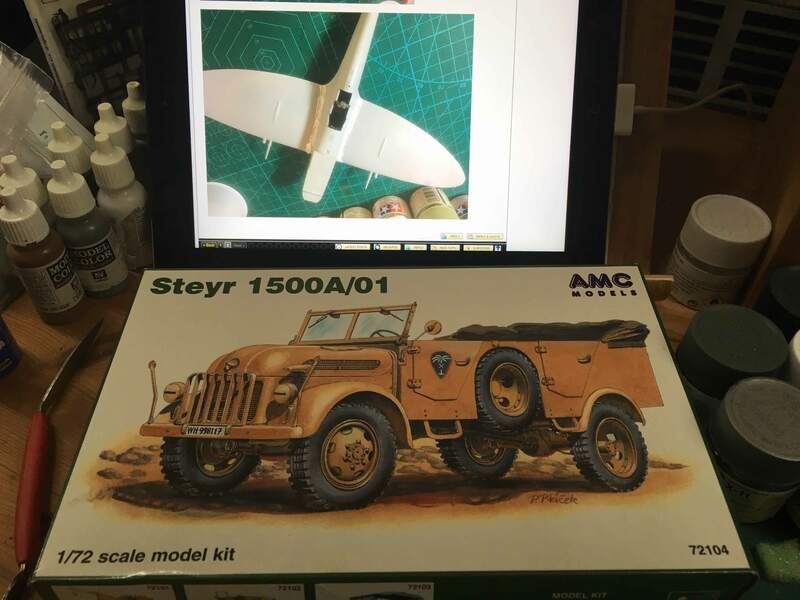 I've heard good things about this kit. The kit has a few shape issues and suffers from some shortcuts. It does come with an interior and offers the choice of rubberband tracks or individual link tracks. Markings include the US Army's "tiger", two USMC Stuarts in Bougainville, and two Soviet tanks. The two USMC tanks have some pinup art. 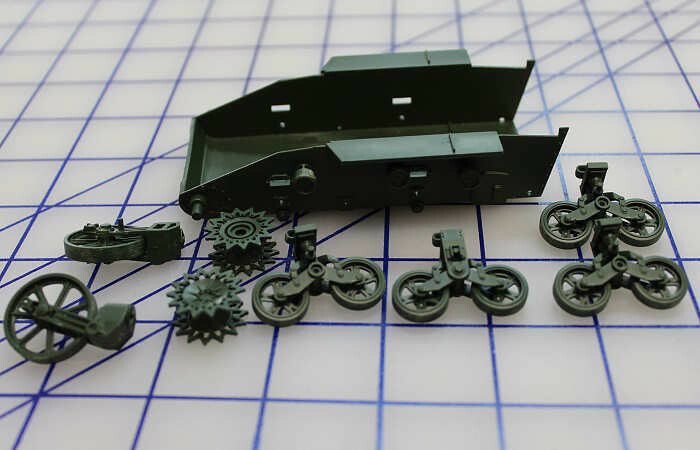 The kit comes with parts from their Honey kit, as well as later Stuart parts like solid road-weels, drive sprockets, and idlers. I started with the suspension. Every thing went together fine. Mounted the suspension assemblies and drive components to lower hull. The interior is okay. It captures alot of the standout details of the actual interior. However, it omits the drive trans and the engine. 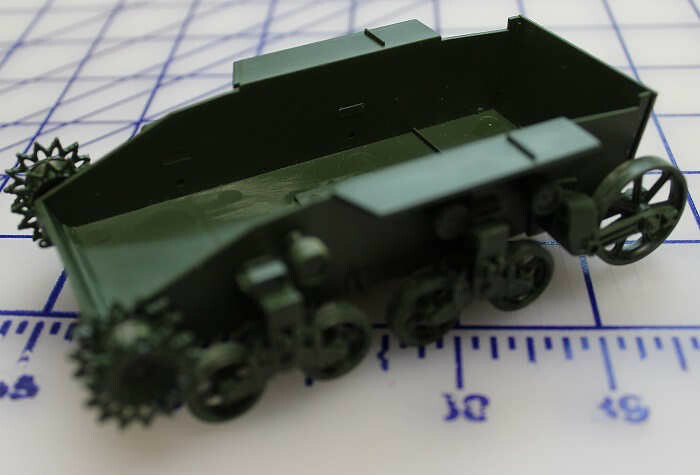 They also left off the support arms for the driver and hull gunner's hatches. Those can be scratched with styrene strip. Interior painted. The instructions are pretty weak on interior painting and I've seen a variety of painting for various other Stuart interiors. As an aside, I had to move the radio back so the hull-mounted MG would clear it. 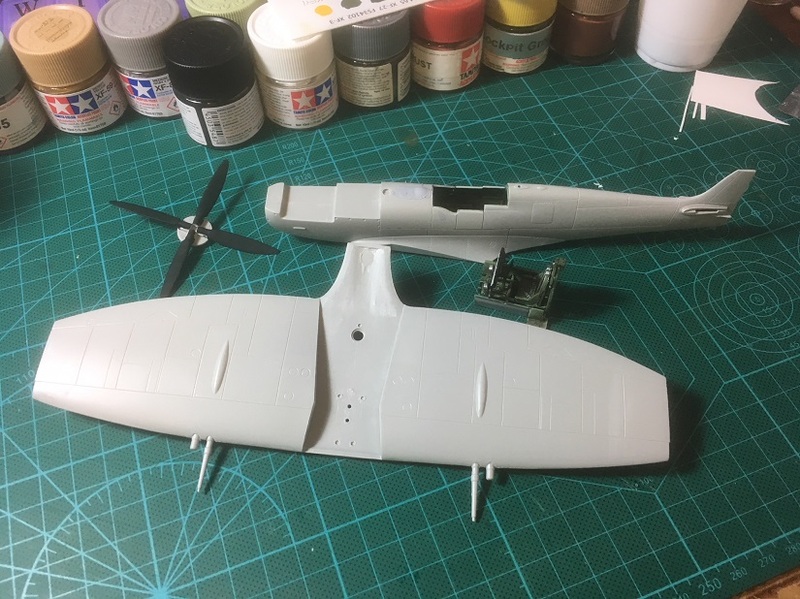 Upper hull assembled. 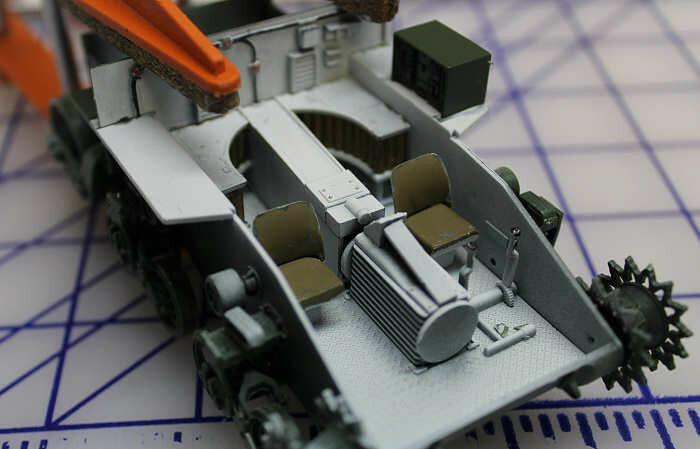 Tiger is shown with the extra MGs added to the hull. Likewise, it mounts the two auxiliary fuel tanks. I went ahead and painted the hull. 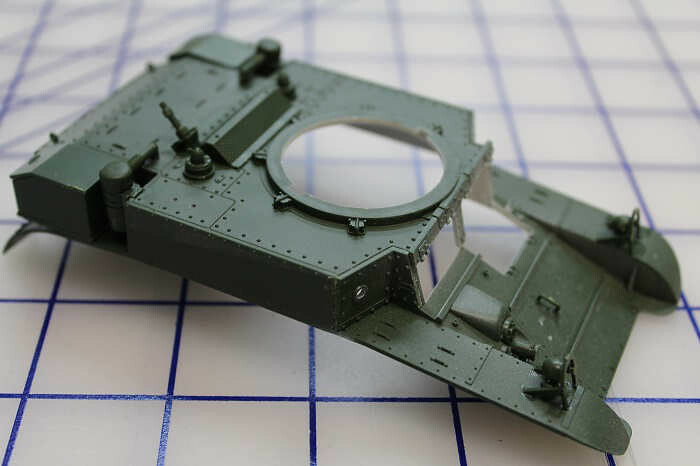 I hadn't assembled the turret yet, but I had painted my M36 Jackson for the Interiors Campaign and had some Olive Drab paint left-over so I used it. And that's where I am right now. The next update will be finishing it up. Now the issue is I want something easy. 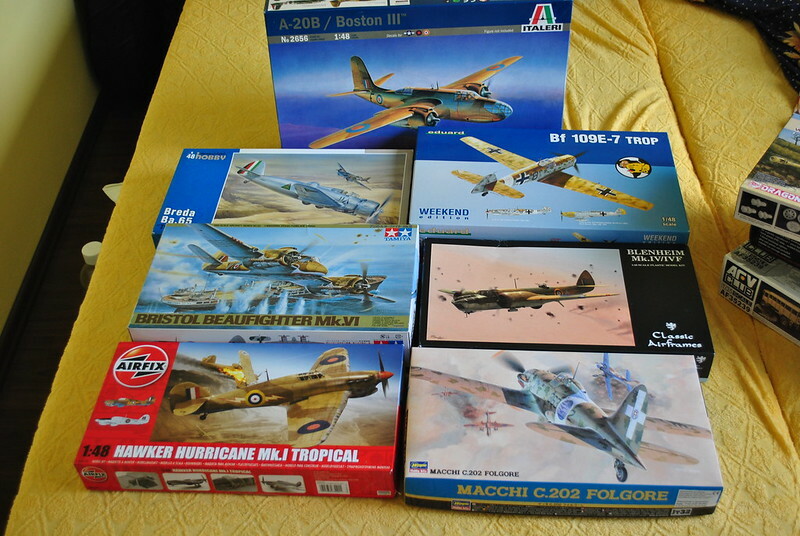 After my last battle with Trumpeters 1/48 F-100D, I need something more relaxing to build. So that puts out the Blenheim, Boston and the Breda. The Beaufighter is nice, but I wanted to do something special with it later with all the AM goodies I can get hold of. 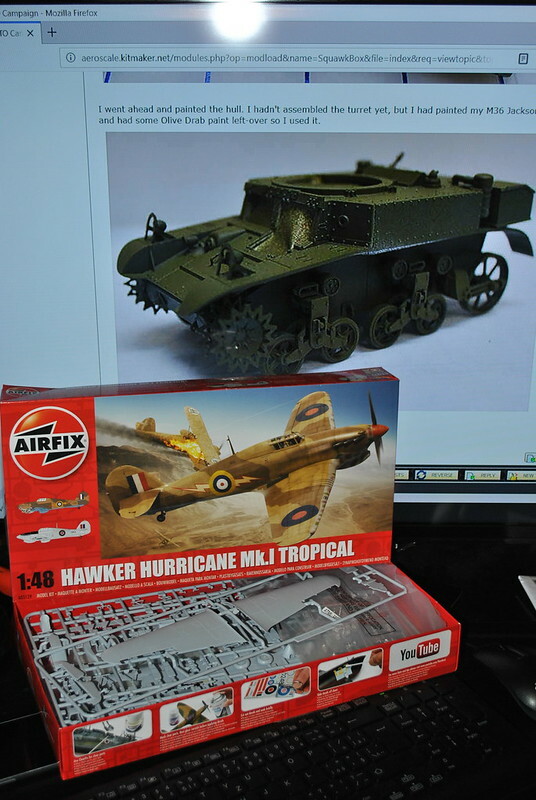 Now from the reminding three the Hurricane seems to be the easiest and I havent realy build anything from Airfix in Years, so thats the choise I guess. It's a really nice kit Jacob, you should be able to breeze through it after the Hun! Good choise if I might say so Franck, we will have a Hurricane build-off. I have already put a couple hours in mine. 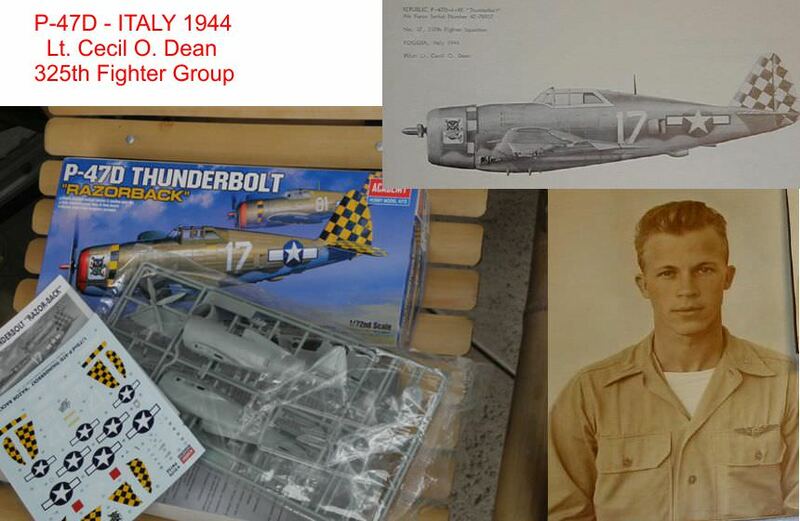 As expected with new Airfix offerings, its a good kit, not Tamiya good, but good. Since the canopy will be closed on this one, I have chosen to use extra contrasting colors. Its all OOB so far with the addition of old AM harness from Extratech from early 1990s. 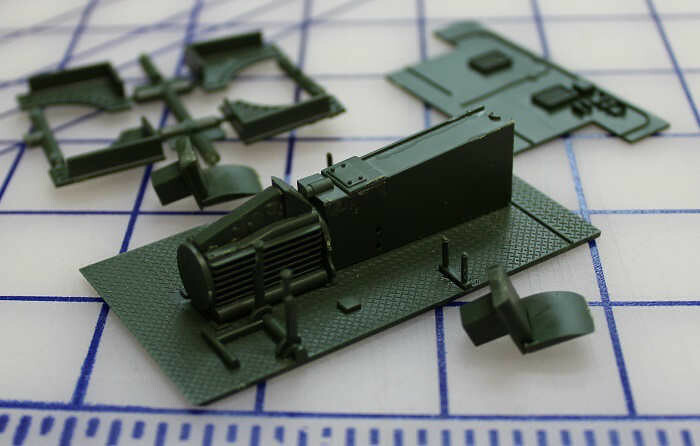 What is especially nice on the Airfix kit are the wheel bays. Jacob, nice job so far! I really like the instrument panel, it's a shame that you'll be closing it all up. 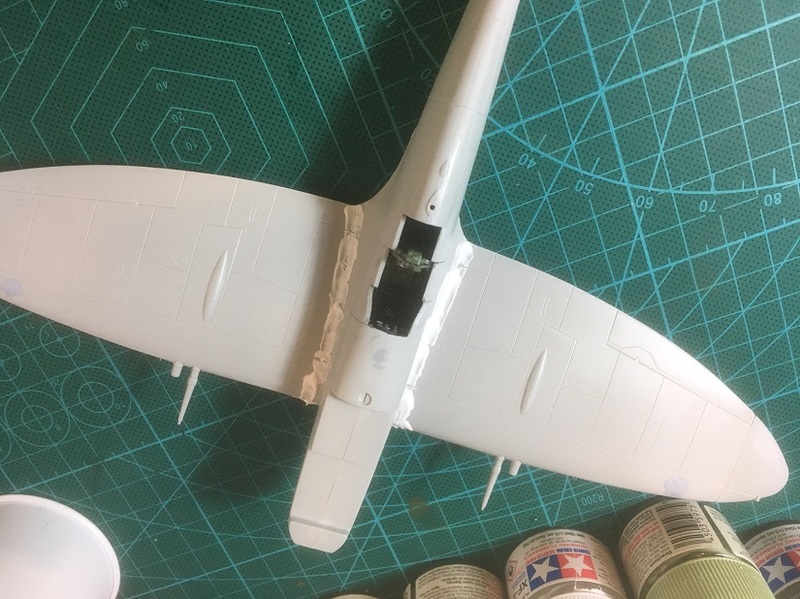 A little update for me, I know I said "onto the cockpit", however, my B-24 build pointed me in a different direction. After the test fit, I found that the wings would be more appropriate. Given the fit of the nacelle to the wings, my attention got refocused. I also took this time to allocate all the weight on this bird. I was surprised that Rosie joined in the fun of flatting of 73 fishing weights! I'm thinking intro to the airbrush is a bit soon! But hey, I'll enjoy the moment! 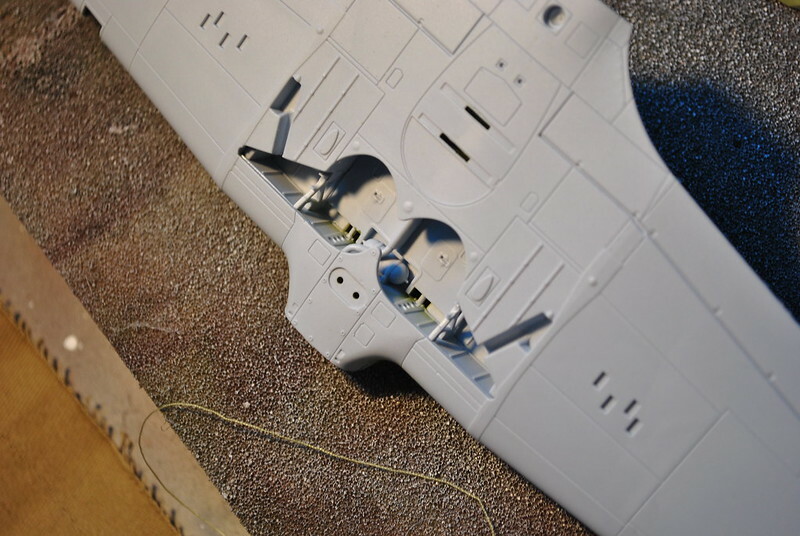 Using 5 min epoxy, a mix was made and the weights were placed in the front wheel well, and front of the nacelle's. I haven't checked yet, but I'm pretty confident that enough weight is on hand! John is posed to finish a B-24 and I not even entered yet. I'm slow to react I guess. Have not finished a wingy thing in almost 18 years so we'll see if I've got this in me. Winged things aren't that scary! You're holding an enviable kit! Build it, and have a blast!!! 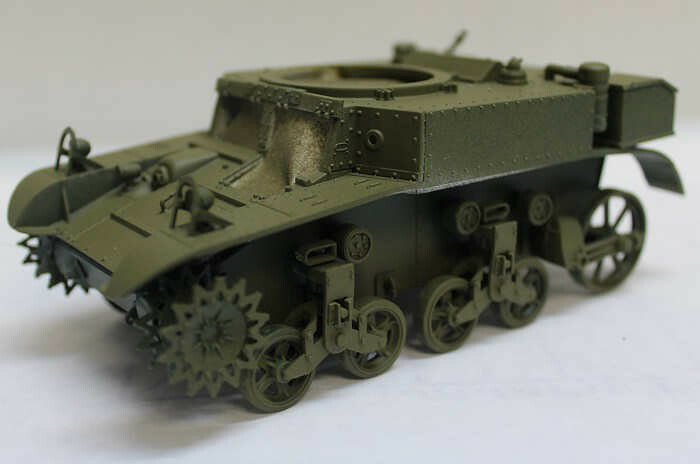 I am tempted to join this campaign and build the Sd.Kfz 10/5 Fur 2cm Flak 38 - which saw service in North Afria and Italy - hopefully that satisfies rule 1? It does indeed Darren, come on in! Deep breath and starting with a bit of surgery> Not for the faint hearted. 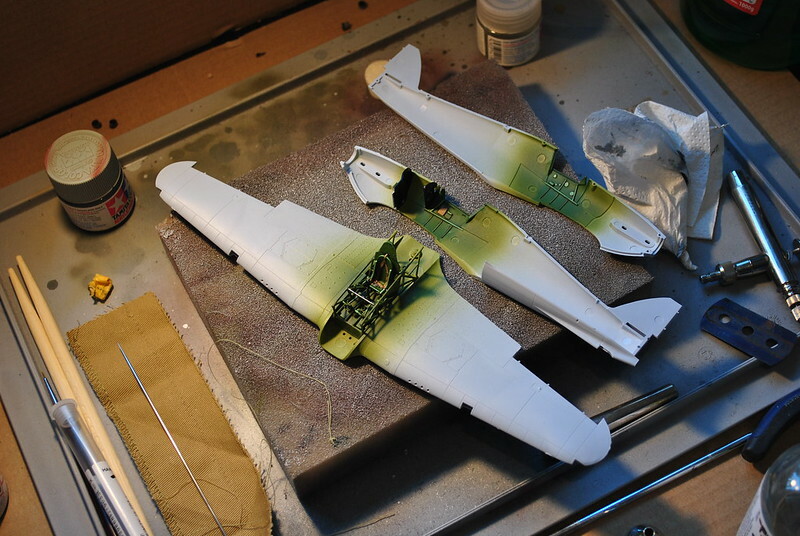 Did note some molding flaws needing attention at the rear fuselage which may have also been used for the F version. 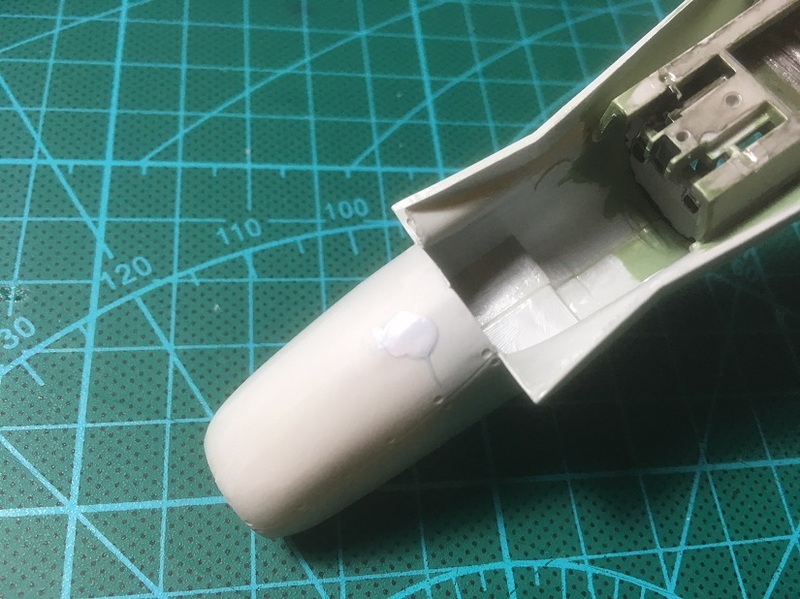 The inner skin of the front fuselage needs to be thickened about .05thou where it attaches to the resin cowl to eliminate a step all the way around. Actually an easy fix. The mold flaws at the rear. Sand, fill, rescribe.